Filson’s, the experts at winter wear, have brought all that is practical, aesthetically pleasing and toasty warm to this year’s winter coat with the Harris Tweed parka cruiser. 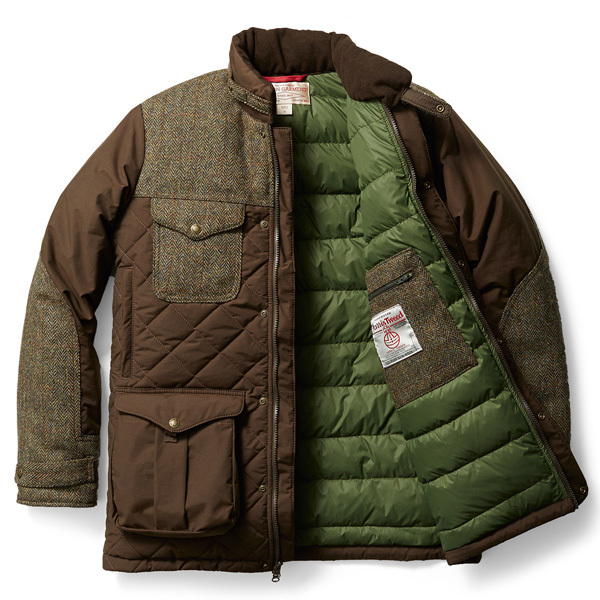 Take Filson’s standard high-quality pure goose-down filled parka and you get soft, lightweight and warm. Add accents of fine Harris Tweed wool from the Hebrides Isles and find yourself in a smart layering of classic style with a weather-ready jacket. Other selling points of comfort include nylon interior lining, moleskin-lined collar, fittable drawstring waist, and more than half a dozen pockets — including an interior zip pocket. Fit into some insulating fancy European goose fuzz that is made in the U.S.A for $580.